I think HCBS knew BB banquet night that Doke was returning because Coach said he was comfortable with his team for next year. Coach could have told Hurt that Doke would return so make your decision on that information. @BShark . The player BIO states from Warren Easton HS. Isn’t that the high school that Tony Hull coached before moving to KU? The FBI says that player 2/guardian 1 needed Adidas funds to repay illicit payments from another shoe company. 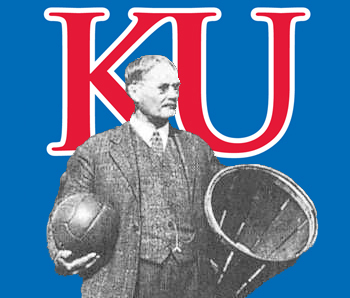 The player did not want to attend another school since the player was more interested in KU. So the FBI is saying another shoe company was making payments to players. Who is the Best Asst Coach for the Nova Scout Game Plan? I read for the Duke game coach Townsend developed the game plan. That game plan sent KU to the final 4. Which asst coach do you think will develop the best game plan to defend against Nova’s offensive efficiency? Or is this going to be a high scoring game? Nova lost their conference games when their 3 point shooting was…fools gold. Nova was 2d in their league but beat 2 Big XII teams last weekend. KU will beat this 2d place team - 75 to 72. Wishing a quick recovery for you!! I see why CSB placed this game on TBS. I checked the tv guide and saw CBS decided to air the ‘Goldbergs’ to receive higher ratings.